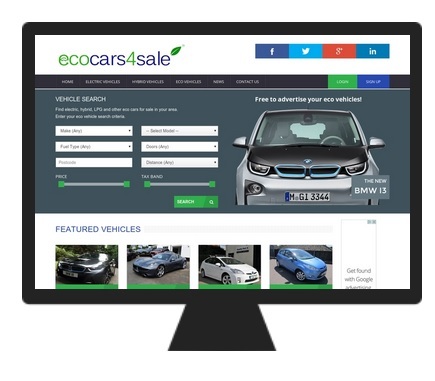 EcoCars4Sale.com are proud to present our Advertising and Marketing Pack 2015, for all our commercial business partners world wide. This pack will give you all the information you require and insight into our unique website and social media followings. If you are looking to promote or advertise you industry related business from Electric Vehicles through to Solar Panels you have come to the right place. We offer bespoke tailor made advertising packages to best suite your needs.